Older Americans need to go for regular eye exams, get rid of their throw rugs, and retire their high heels. These are just some of the pieces of advice experts on aging and government health officials are doling out in tandem with a new report that shows falls are the number one cause of fatal and nonfatal injuries among adults over 65. In 2014, older Americans fell 29 million times, leading to seven million injuries, according to the report out today in the U.S. Centers for Disease Control and Prevention’s Morbidity and Mortality Weekly Report. About 2.8 million cases were treated in emergency departments, and approximately 800,000 seniors went on to be hospitalized for fall-related issues. More than 27,000 falls led to death. And the problem is growing as more Americans age into the 65-and-over category. The falls are preventable, Frieden stressed. The CDC said individuals, families and health care providers can take steps to defy the trend. Dr. Gisele Wolf-Klein, M.D., director of geriatric education at Northwell Health in Great Neck, New York, told CBS News one concern is that seniors who have experienced a fall alone at home don’t tell anyone. When that happens, prevention efforts don’t begin and they’re at risk for additional – and possibly more serious – tumbles that lead to broken bones and brain injuries. 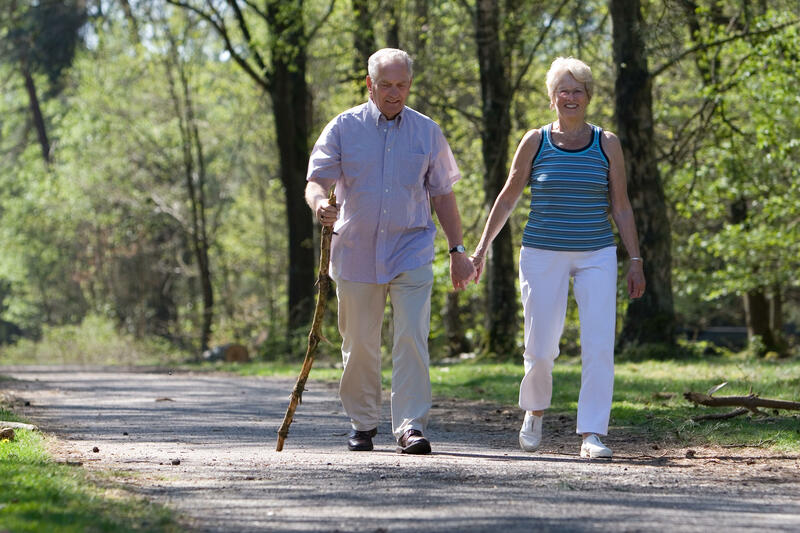 “Elderly patients tend to not report falls to their families, or even doctors. A fall is a very frightening thing that you keep quiet about. They think if they mention it that it’ll start the ball rolling – the move to a nursing home, or the need for aides to help out in the house – and that they’ll lose their independence,” said Wolf-Klein. When someone does fall and hurt themselves, especially if they’re put in the hospital or have to have surgery, they’re often never the same, Wolf-Klein said. “You can develop chronic problems. After a fall, a percentage of the population will never return to walking around. People used to taking the subway to midtown Manhattan, now they’re in a wheelchair, or they may need help going to the bathroom. They become frailer and lose independence,” she said. Falls also lead to higher health care costs, CDC experts said in the report. Fall injuries in 2014 amounted to an estimated $31 billion in annual Medicare spending. To help prevent falls, health care providers can screen older adults to spot those at higher risk, and review and manage their medications to be sure there aren’t side effects leading to low blood pressure and dizziness, for example. Also recommended: vitamin D when appropriate to boost bone, muscle and nerve health. Wolf-Klein said older Americans and their families can also make simple adjustments at home that will help, such as outfitting bathrooms with railings for holding on when balance is an issue. “Because falls are classically in the bathroom – wetter areas – it’s super important to start equipping your bathroom,” she said, recommending that a friend or an adult child help give an outside eye and advice for de-cluttering and where to place safety bars. “Have it professionally installed, not the stuff you glue on from Home Depot,” she advised. Throw rugs and uneven flooring can be tripping hazards in the home, so remove loose rugs and make sure floors are in good repair. Annual eye exams and new eyeglasses when needed can also cut down on falls, Wolf-Klein said, noting that bifocals are a big danger because they may distort a person’s view and can lead to increased stumbling. “It’s amazing how many older adults don’t use glasses, or haven’t renewed their prescription,” she said. A visit to the shoe store might be in order, too. “People are falling because they don’t have the right thing on their feet. Wear sneakers. A solid sneaker is your best bet, with good arch support. The wrong thing is a slipper you’ve been wearing for the last 30 years with a piece coming apart on the heel, and the sole is so used you slide and can do one of those skating routines,” she said. And bid adieu to those Jimmy Choos and Christian Louboutins​. “You’d be amazed how many of my 90-year-olds with Parkinson’s wear heels,” said Wolf-Klein.If a cane is needed for stability, don’t use a hand-me-down, she said. Or if you do, a used cane needs to be adjusted by a physical therapist to the right height. Families and friends should also watch for changes in behavior. Some older adults will fall and then be afraid to go out on their usual Sunday brunch date with the grandkids, for example, or a weekly card game with friends, for fear that the family will try to impose changes to their care-giving or living situation. Older people with nerve, bone and muscle diseases, such as Parkinson’s and dementia, need their doctors to check that medication combinations aren’t making symptoms worse and putting them at an increased risk for falls. A CDC initiative called STEADI​ – Stopping Elderly Accidents, Deaths, and Injuries – is aimed at reducing the risk of falls and offers guidance for doctors, patients and families. It includes information on how to screen a person’s fall risk, online resources to help train health care providers to deal with the issue, and informational brochures for patients and caregivers. Part of the challenge is overcoming the stigma associated with the problem.